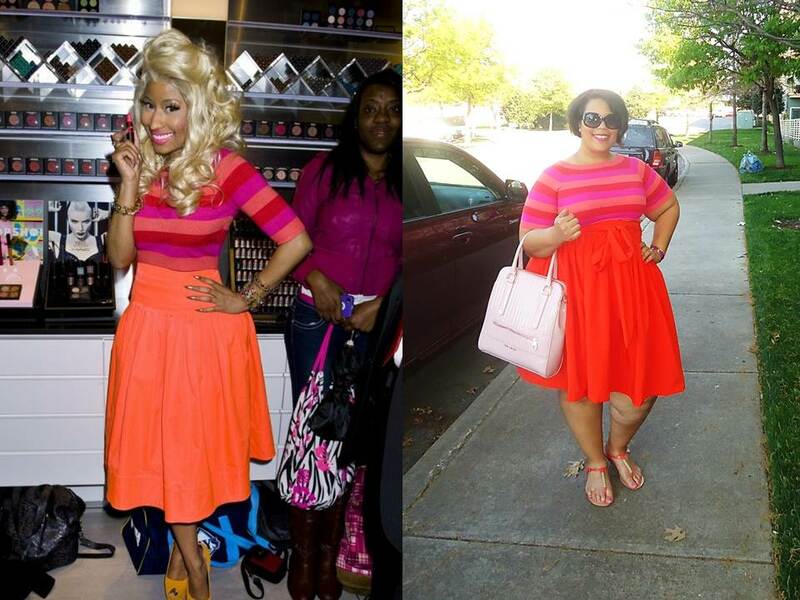 I saw Nikki Minaj in this particular outfit and said to myself, "Did she steal one of my high waist skirts?" LOL! Knowing that I was getting an orange high waist skirt I went and snagged this cropped sweater top from Forever 21 for the cool 16 bucks. Since the Dolce & Gabbana Spring release of it's bra tops I have been obsessed (literally) with crop & bra tops. With loving them also rushes in the fear of, "Can I really pull this off?" I think of all the strikes against me for such a look. Strike 1: I'm plus size ~ Never stopped me before. Strike 2: Im over 30 ~ has stopped me before Strike 3: Can I even find one that fits? My issues with cropped tops not only encompass the strikes above, but also having me battling with my own "lady like" style. How does one wear a shirt that is only half there and wear it in the most tasteful, stylish, and lady like fashion? Then I come across this article in my latest installment of Elle Magazine. Crop Rotation, by Amanda FitzSimons, divulges the author's fear, allure , and her triumph in sporting the look. This was only further confirmation for me. For me trying to accomplish this look anything high waist goes. I don't want to show a whole bunch of skin, just a little bit. I want the look to be as flattering as possible and don't want to hang out ANYWHERE. All of these things I want to happen and the laws of fashion, style, & flattery are against me. In my mind, they are always against me, so why not prove them wrong...again. Would you be wear such a piece? You pulled it off beautifully and the high waist is such a good idea. I like the look of crop tops as well but it reads teen age like to me. The way you did this with the high waisted skirt is so classy. It looks great. girl. you killed it 360! said eff you to the strikes and re-wrote your own pros! loveeeee! You look great! Love this look! I'm afraid if the crop top myself but you worked it honey! This is soooo cute! The colors are great. I hope to get that skirt in yellow. I would wear a crop top but with a high waist bottom or with a cami underneath. You look great! 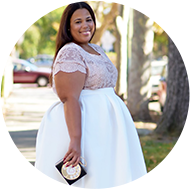 That Jibri skirt looks amazing on you! I wouldn't be able to pull off a crop top but you pull it off wonderfully! Great job. I love your strikes and how you went right against them. I have a huge chest and I don't think I could pull off a cropped top. But, since you tried it I think I'd give it a try but with a solid top and some bright colored wide legged pants. If you have any good suggestions for inverted triangles please let me now. I'm a 36J and a 12 on the bottom so styling is tricky. I love this outfit style and cannot wait to try it. 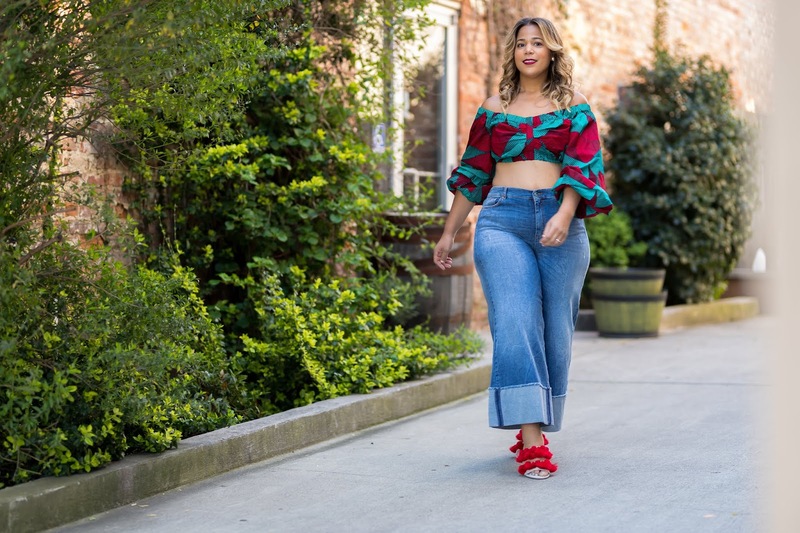 I feared that cropped tops were only for people with "flat" stomachs but I want to say I never have thought to wear it this way and now that I know it looks absolutely spectacular I am definitely going to try. I wish that beautiful skirt of yours was not so expensive or else I buy it but being on a college girl budget, ill have to opt for something a bit cheaper. Maybe if I possessed more high waist garments. But ummm...I haven't worn a top like that since I was 19. This may be a silly question but...Do high waist garments work for every body type? In my humble opinion they DO! They fit at the smallest part of any women's waist and no matter what shape you have they will create a hour glass figure. Okay, wonderful....my stomach has become my problem area and I'm always looking for ways to camoflauge it. Thanks! I lOVEEEEEEEEEE this on you!!!!!!!!!!!!!! I love the colors!!! The outfit is so spring! I adore crop tops and all things high waist. The colors look great on you. Such a wonderful springtime outfit. look at you! those colours are amazing and you look so pretty. This prove that curvy ladies can wear whatever they wan, carrying their style around!!! You pulled it off like none other! I've been wanting to try a look similar to this. This is confirmation for ME, that it can be done tastefully. You have inspired me as well! This is SUCH an awesome outfit, you look like walking summer time! I bought a few jewel toned crop tops from Target back in February and this has reminded me that I need to start wearing them ASAP. I love the colors~ Great outfit. Such a colorful outfit. You pulled it off great, as you do with so many of your ensembles. I think I'd wear such an outfit. I'm trying to buy more colorful clothing rather than sticking with a black skirt and a red/pink/orange top. Love the burst of colors!